Palestinian Foreign Minister Riyad al-Maliki will pay an official visit to Azerbaijan Nov. 4-6, the Palestinian Embassy in Baku said in a message Nov. 3. 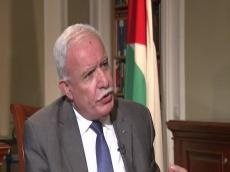 During the visit, the Palestinian foreign minister will hold a series of official meetings and will preside over the conference of ambassadors of the State of Palestine in Asian countries to be held Nov. 5 in Baku. The conference will be opened by foreign ministers of Azerbaijan and Palestine Elmar Mammadyarov and Riyad al-Maliki. Earlier, Riyad al-Maliki visited Azerbaijan in early April this year to attend an interim ministerial conference of the foreign ministers of the countries of the Non-Aligned Movement, held in Baku April 5-6.